IN a meeting with the Food Control Department of the Dubai Municipality and Emirates Authority for Standards and Metrology (UAE-Esma) last on February 2, the team from the Department of Trade and Industry-Export Marketing Bureau (DTI-EMB) expressed its willingness to strengthen the footprints of Philippine products in the Middle East through compliance with accepted standards for food and personal-care products. “There are new rules we will be implementing soon with all exporting countries to the UAE. One is on product registration with the UAE-Esma. The exporting countries, such as the Philippines, have three options to register: One, Philippine companies may directly register their products to UAE-Esma. 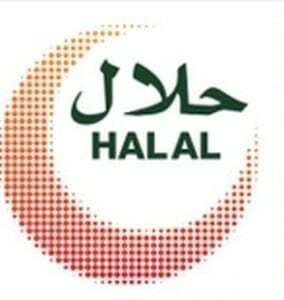 Two, halal certifiers may register with UAE-Esma and upon official recognition, they may accredit products based on international standards, like ISO 17065 for certification and ISO 17021 for inspection; and Hazard Analysis and Critical Control Point requirement for factories and slaughter houses. Three, UAE-Esma may also consider entering into an agreement with the Philippine Accreditation Bureau that may, in turn, recognize the Bureau of Product Standards in the assessment of applications for the registration of Philippine products in the UAE,” said Yousef Almarzooki, head of International Accreditation, Esma. Due to the recent developments, the DTI-EMB has initiated a focused group discussion on market access to the UAE together with the relevant industry stakeholders for a unified, strategic and cost-effective approach to facilitate the registration of Philippine products in the UAE as soon as possible to avoid being refused entry into the market by 2017. The current highlight on market-access regulations pertaining to the promotion of halal products in major markets stresses on the stringent and costly processes being implemented. The sectors of focus include food and beverages, cosmetics and pharmaceuticals. The trend also includes nonrecognition of halal certification from other countries. The same is expected from Indonesian exporters who are expected to have a longer halal-accreditation process that will be processed by the Indonesian Council of Ulama, the National Halal Product Certification Agency and the Ministry of Religious Affairs. New rules are now being institutionalized as part of UAE’s transformation program 2021, which intends to achieve better progress in the Islamic economy. The UAE is a major market for the Philippines and a host to almost a million Filipino overseas workers. The Economic Intelligence Unit of the Gulf Cooperating Countries said halal food imports are set to increase to $53.1 billion by 2020, and the UAE’s annual halal food imports is expected to reach $8.4 billion by the end of the decade. The law mandates the creation of the Philippine Halal Export Development and Promotion Board and institutionalize the creation of the Philippine Halal Export Development programs of the different government agencies with halal initiatives, particularly, the DTI, the National Commission on Muslim Filipinos, the Department of Agriculture, the Department of Tourism, the Mindanao Development Authority and two Muslim professionals recommended by Muslim Filipino people’s organizations and non-governmental organizations (NGOs). The Halal Board shall be the policy-making body on halal export development and shall set the direction for the implementation of the Philippine Halal Export Development and Promotion Program. In the performance of its mandate, the Halal Board shall institutionalize the involvement of Muslim-Filipino people’s organizations and NGOs through membership in consultative or advisory bodies, coordination of activities with government agencies concerned with halal industry development, and participation in regular consultative mechanisms, such as public hearings and roundtable discussions. It shall be attached to the DTI. The new law was formulated in recognition of the significant role of exports to national economic development, and the potential contribution of halal industries to promote economic and inclusive growth, and to ensure the integrity and quality of Philippine halal exports. It also aspires to develop and promote halal industries as a mode of achieving equity and justice among Filipino farmers and producers, and increasing employment opportunities for the domestic labor force, particularly that of the Muslim-Filipinos. The implementing rules and regulations will soon be drafted and approved by the Halal Board to put more details on the various provisions of the law. The major related sectors under halal in the global market include finance, food, travel, fashion, media, pharmaceuticals and cosmetics, with estimates amounting to $1.8 trillion in 2014. Philippine exports of food and beverage to Saudi Arabia in 2015 was $47.6 million, with a strong growth rate of 18.38 percent in the past five years, while for the same period in the UAE, $93 million of Philippine products were exported with a growth of 14.49 percent. In the Asean $249.1 million of Philippine products with a growth rate of -14.76 percent was exported.